A perfect spot to just kick back. Why is that rock starting to drool? Please help me I’m under attack. From this cruel dusky dottyback! Best warn all my damselfish pack. She sees me as a tasty snack. My outlook has turned awful black. I fear my willpower will crack. They really are starting to stack. For how much longer can I run? Their presence beside me I lack. It seems they lost their hunting knack. 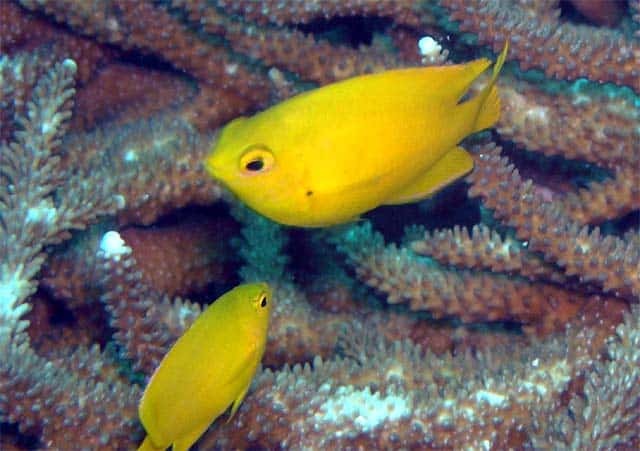 This is a Kyrielle, written about this recent piece of research, from scientists at the ARC Centre of Excellence in Coral Reef Studies, who investigated the chemical ‘distress’ call that is released by damselfish when they are caught by predators. As well as warning other fish of the imminent danger, this also improves the damselfish’s own chance of survival, by attracting other predators to the area, which creates competition and increases their likelihood of escape.